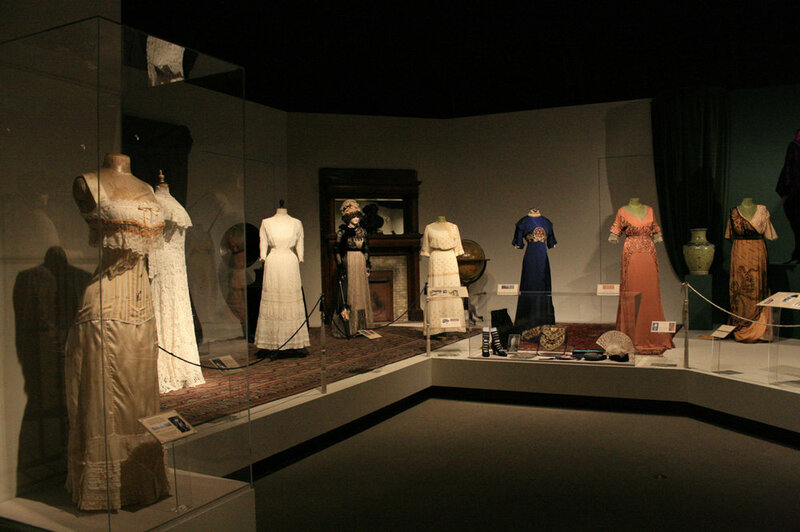 La Belle Epoque: Women's Fashions of La Belle Époque 1890 – 1914 was at the Vancouver Museum Sep 13-Mar 23, 2007. Curated by Ivan Sayers and Claus Jahnke It included articles of clothing courtesy of the Vancouver Museum’s collection and Canadian collectors Ivan Sayers, Claus Jahnke, Melanie Talkington and Jonathan Walford. 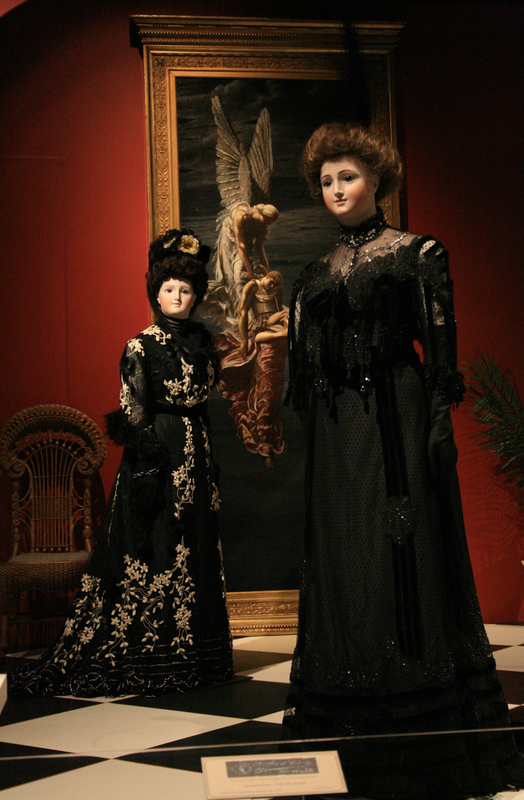 La Belle Époque, meaning “beautiful era”, describes the European fashion period between 1890 and the outbreak of World War I in 1914. During thisJahnketime, the rich and privileged by birth experienced a time of extreme well-being and comfort that allowed new fashions to flourish. 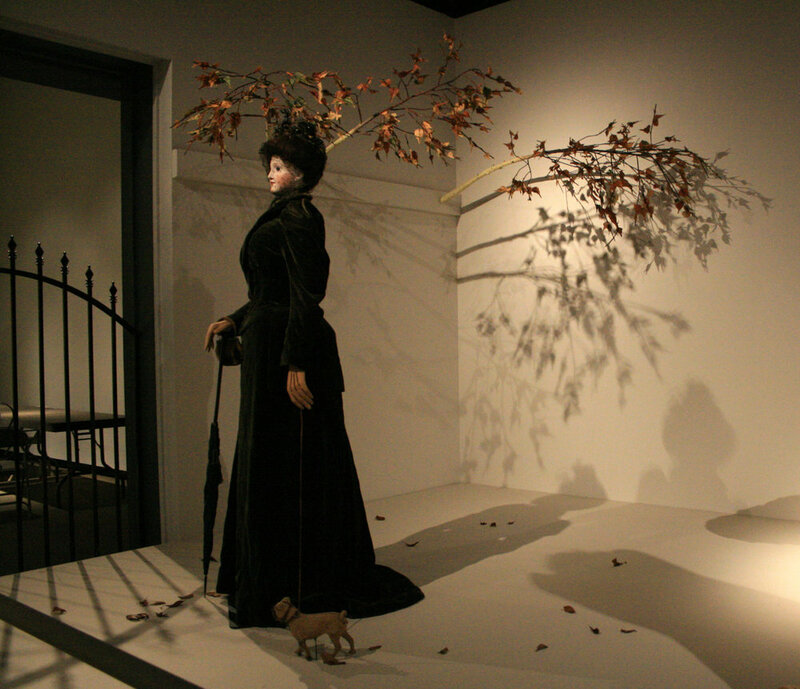 The silhouette of female fashion changed many times during the era, and fashion novelties came and went in speedy succession. 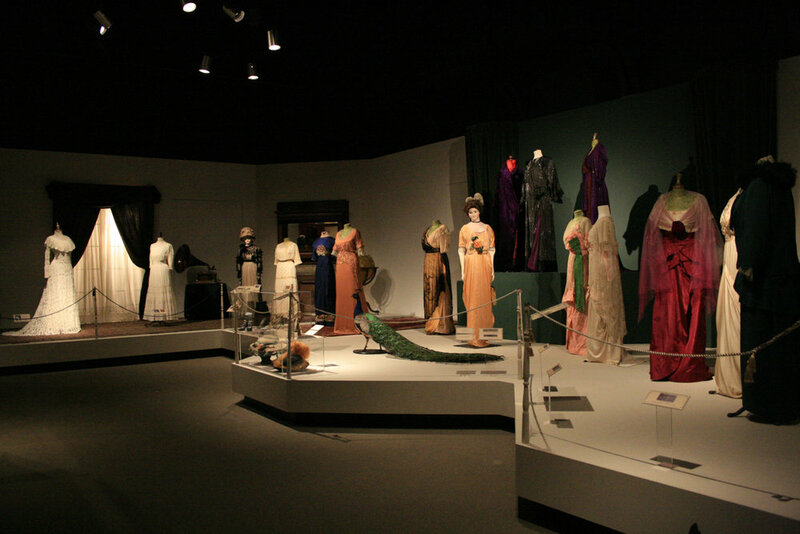 Parisian haute couture was mainly responsible for the emergence of trends that were quickly studied and copied throughout the Western world. 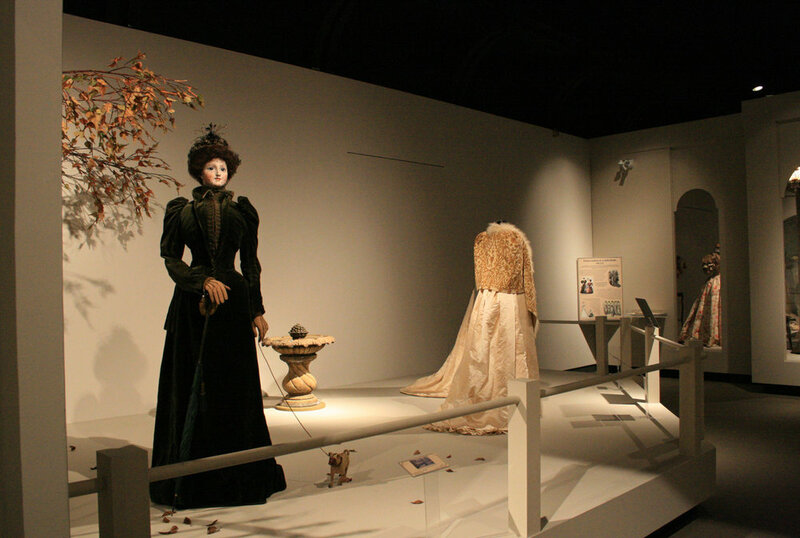 Fashions of the period included the Edwardian suit and the “Gibson Girl” look, the latter with embellished ornate blouses replete with pin tucks, pleats, appliqués, insertions of lace and fagoting worn with gored, trumpet-like skirts, all designed for the active, emancipated woman. 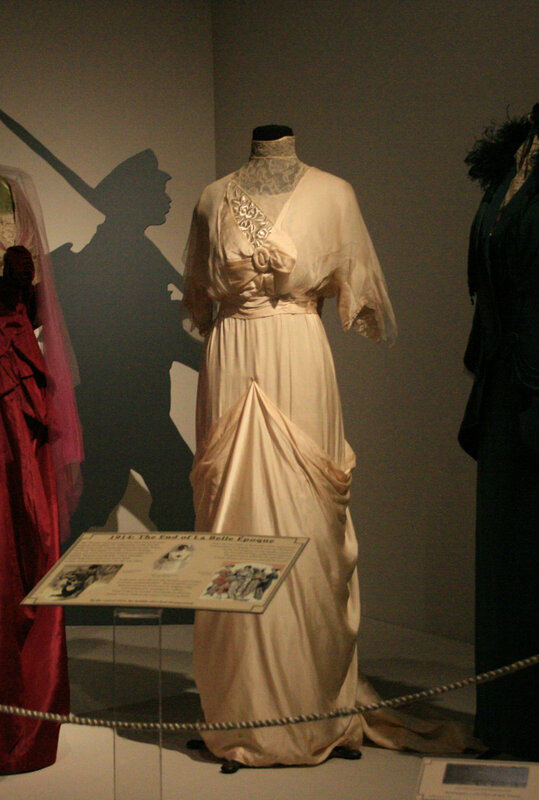 Edwardian silhouette, inspired by the designs of Paul Piret, featured empire waistlines and slim, corseted silhouettes, round décolleté necklines and lavish jewelry. 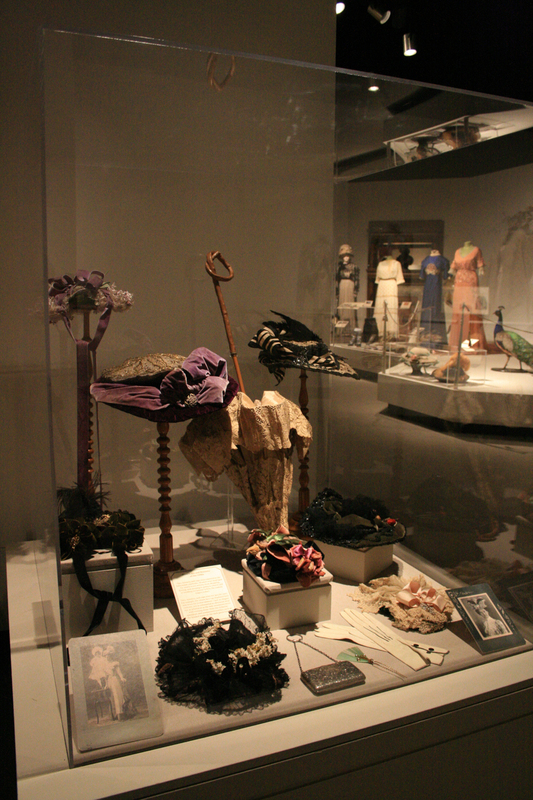 Accessories included parasols, small decorative bag-like purses, and incredible lavish wide-brimmed hats trimmed with ribbons and feathers. The shawls of the 19th Century were replaced by exotic-sounding paletots, casaques and mantelets. Vibrant colours, puffed sleeves, nipped waistlines, rich fabrics, fringes, beadwork and fur – as well as small toy dogs on ornate leashes -- were all the rage.